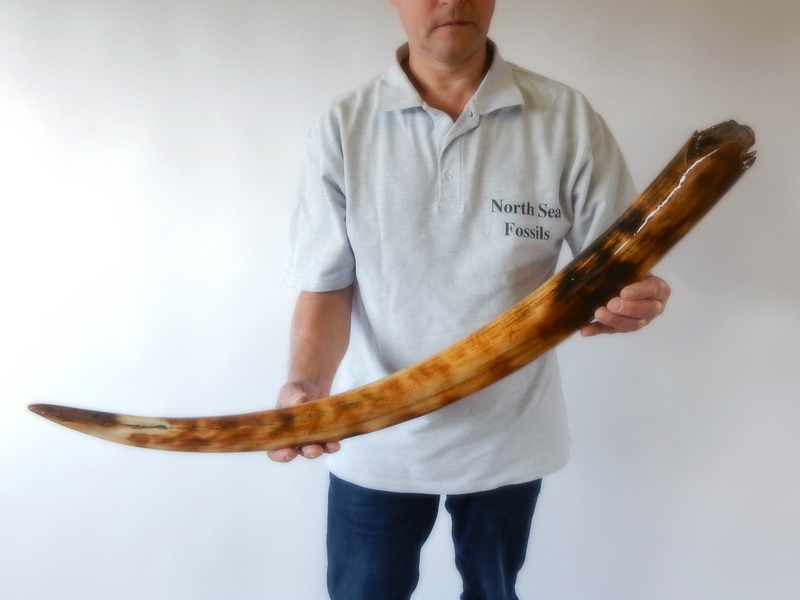 On offer is a complete and beautiful tusk of a female Woolly Mammoth. 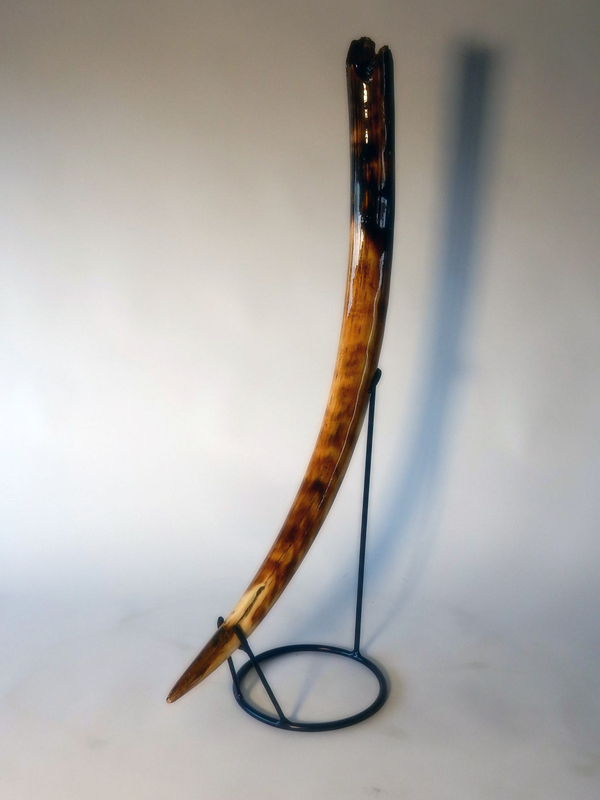 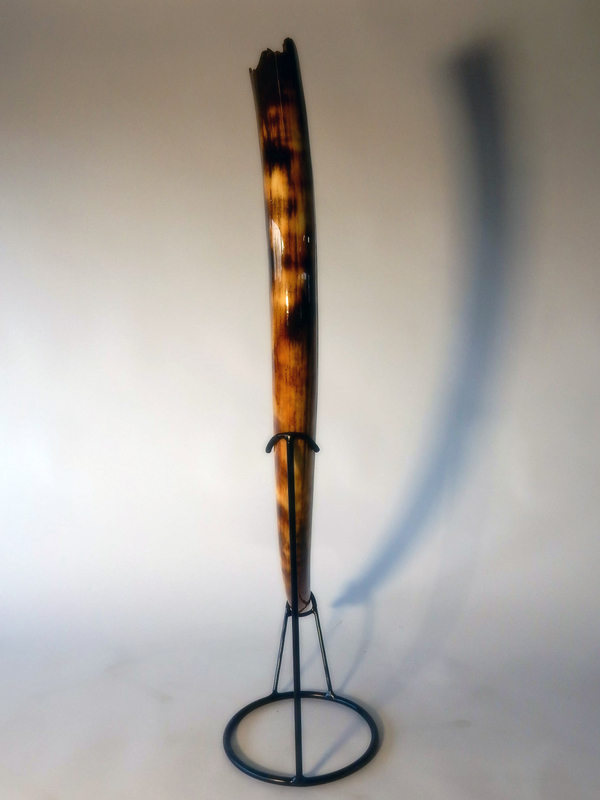 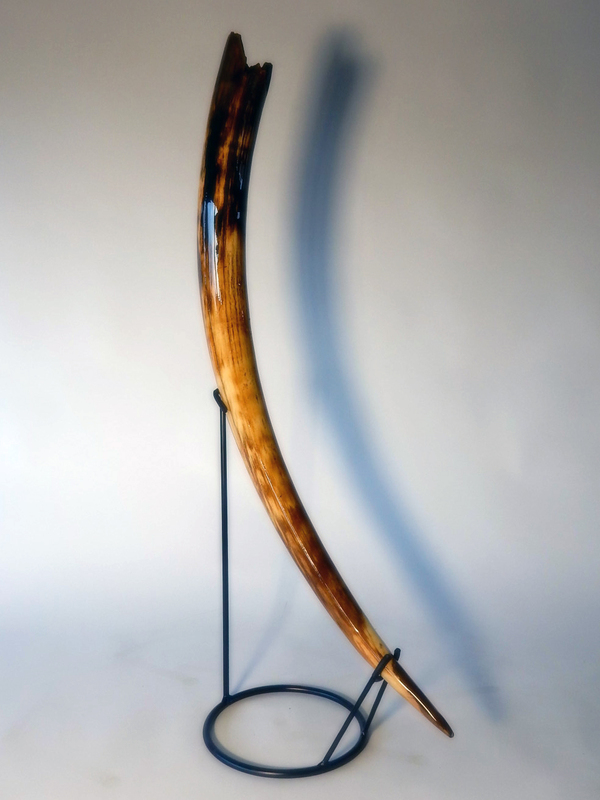 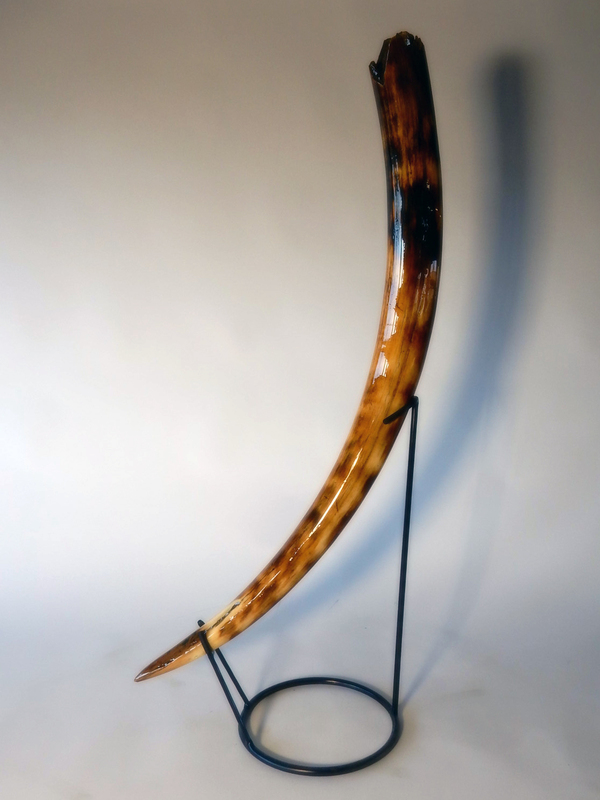 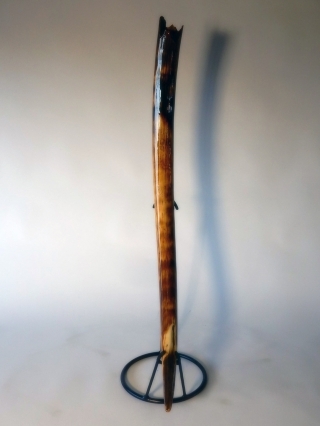 The tusk measures over 96 cm (37.7 in) over the curve and is a truly marvellous piece. The item has a wonderful curve and on top of that has some absolutely stunning black, white, grey, brown and gold colouring. 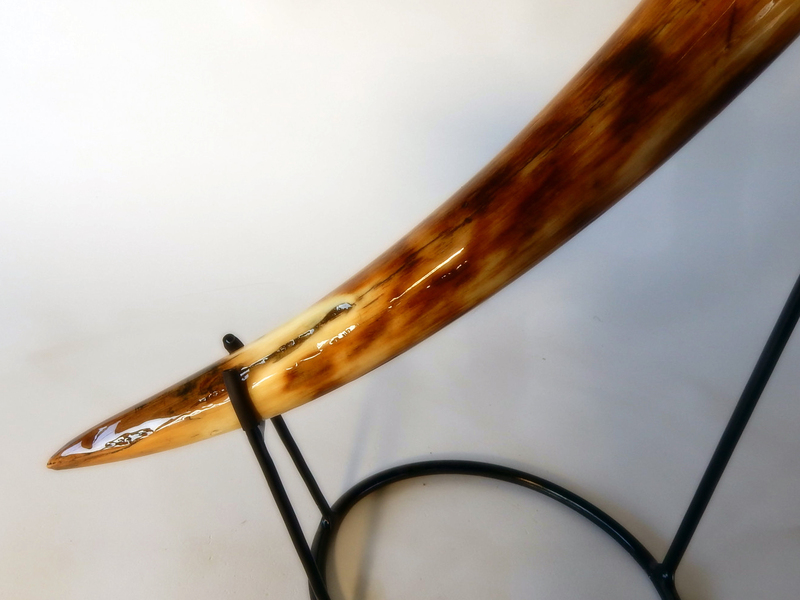 The item will not only be the jewel of your collection, but will also make for a very impressive addition to your home.The pictures speak for themselves! 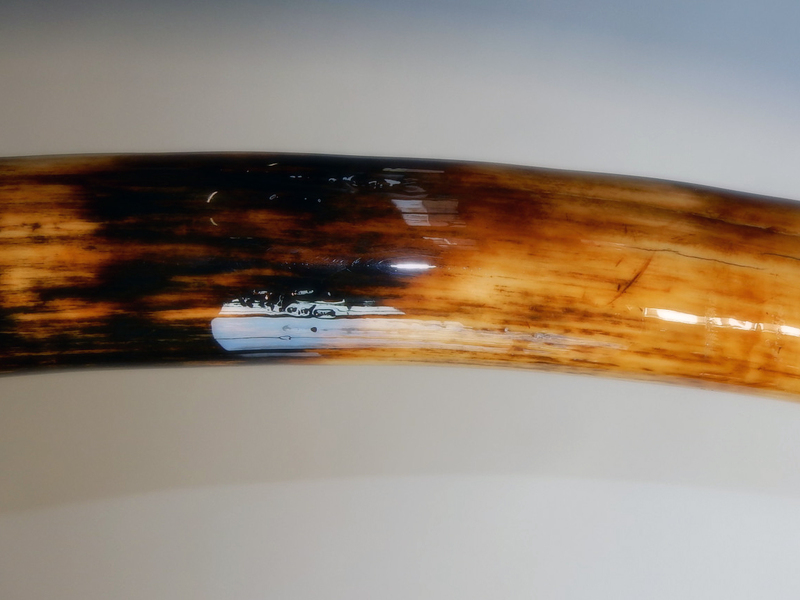 This tusk is in wonderful and intact condition with a large proportion of the original ivory stuill in very good state of preservation. 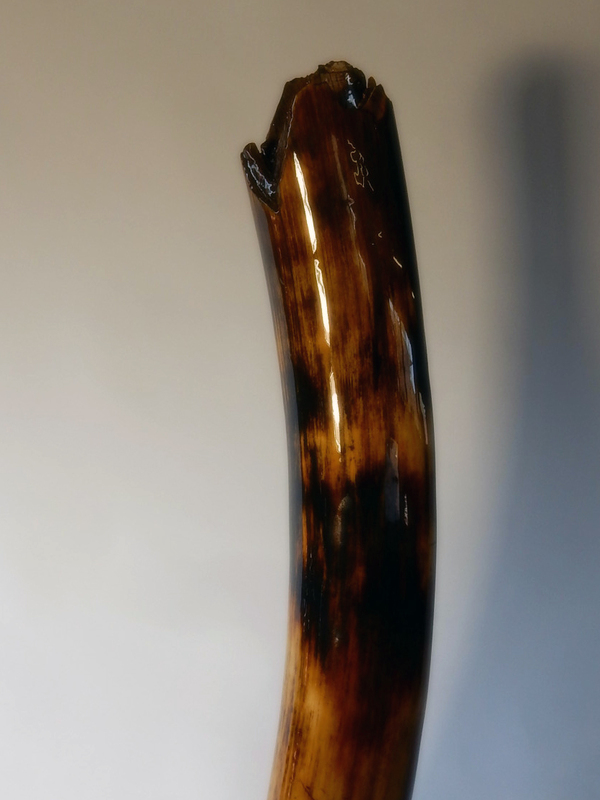 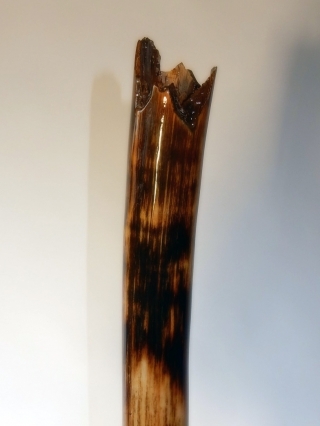 This piece is truly exceptional and of great beauty and makes this a museum quality tusk. Attractively displayed on a custom-made metal stand with black finish, and ready to display. This piece has been legally exported from Russia and is accompanied by all appropriate paperwork.